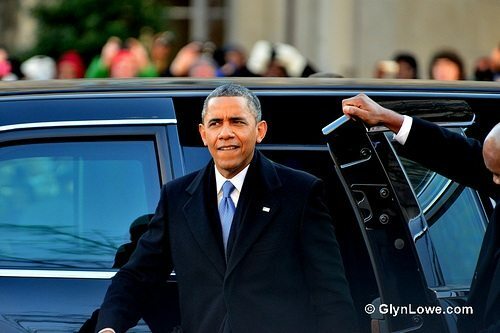 Four years ago, the U.S. witnessed the inauguration of the first black man as President of the United States. President Barack Obama was officially inaugurated for his second term in a small White House ceremony on Sunday, January 20th, but yesterday marked the public inauguration for his second term. The public inauguration was three years to the day of the U.S. Supreme Court’s Citizens United v. Federal Election Commission (FEC) decision, which overturned some of the campaign finance provisions of the Bipartisan Campaign Reform Act of 2002, often referred to as the McCain-Feingold campaign finance law. President Obama and his opponents were inundated with billions in campaign donations partly due to the Supreme Court’s green light, via the Citizens United decision, to allow unlimited secret donations to and through 501(c)(4) social welfare organizations. While the Supreme Court decision really unleashed the unlimited corporate campaign pool, the (c)(4) groups ignited thanks to the FEC’s decision to allow donations to (c)(4)s for clearly partisan electoral activities to be secret. The FEC’s approach seemed to contrast even with some of the language in the Citizens United decision written by Chief Justice John Roberts. Nonetheless, according to the Center for Public Integrity, the unfettered corporate contributions given the go-ahead by Citizens United amounted to an extra $933 million dollars in political spending this past election cycle. Activists greeted the third anniversary of Citizens United’s inclusion of corporations as persons entitled to free speech—and money as the equivalent of speech—with protests around the nation. One of the most creative demonstrations took place in New York City, where seven brides “married” seven corporations on the steps of the New York Stock Exchange. Not to be outdone, former Tucson, Ariz. mayoral candidate Mary DeCamp showed up at Tucson City Hall wearing her wedding dress and hoping to find a corporate suitor to marry. There are numerous strategies being pursued to undo Citizens United, including state statutes that require disclosure, Congressional legislation to require disclosure such as the DISCLOSE Act, court action to overturn the FEC decision granting corporate contributors anonymity, and the passage of an anti-Citizens United amendment to the constitution. All of these efforts have their own challenges, as federal courts have overturned state laws, Congress and the administration were less than energetic in pushing for DISCLOSE, the FEC seems unable to function no matter what the issue, and constitutional amendments are exceptionally rare and difficult. Nonetheless, there is some energy swelling around the constitutional amendment approach via a bill introduced by Sen. Max Baucus (D-Mont.) that Sen. Al Franken (D-Minn.) is actively pushing to enact. Ultimately, the amendment debate could be complicated by exactly how much corporate “personhood” has to be undone to recover a semblance of sanity in campaign finance. Not only would corporate personhood be a target to undo (read the dissent of Justice John Paul Stevens to the Citizens United majority opinion on that score), but so would the notion that money equals speech. The Move to Amend organization believes that the constitutional amendment must “abolish ALL corporate constitutional rights”—not just First Amendment free speech rights, but personhood protections going back to the 1819 Supreme Court decision in Dartmouth v. Woodward. It may be difficult to imagine Congress taking on the breadth of targets that Move to Amend identifies, such as Fifth and Fourteenth Amendment due process considerations, but there is a distinct sense that the effort to undo Citizens United by a constitutional amendment is gaining unexpected traction.